We are delighted that Central Bedfordshire Council Planning Committee decided yesterday to approve two separate applications for extensions to Hadrian Academy in Dunstable. The meeting took place in the Council Chamber at Chicksands, and we were in attendance to put forward the views of the Academy in support of the applications. This means that the Academy now has consent to improve the administration block and staff room by adding a first floor extension. In addition, they now also have permission to provide improved out-of-school facilities in the form of a new classroom, and an extension to the hall to enlarge the dining area. Both applications were brought to the Committee for a decision because of a number of local concerns about parking and traffic management. However, the Committee was satisfied that parking issues were being adequtely addressed by the provision of more on-site spaces for teachers and visitors. The Academy hopes to start work on at least one of the construction projects next year. This entry was posted in Bedfordshire, classroom, extension, Hadrian Academy, planning consent, planning permission on December 10, 2015 by admin. Lauren Winfield has recently joined the design team at our base in Haddenham, Buckinghamshire. Lauren is undertaking a work placement with us as part of her BSc Architectural Technology and Design degree course at the University of the West of England in Bristol, and is currently working on some of our educational projects. Lauren has always had an interest in architecture and building technology and hopes to find a career in architectural technology when she is fully qualified, with the possibility of teaching one day. 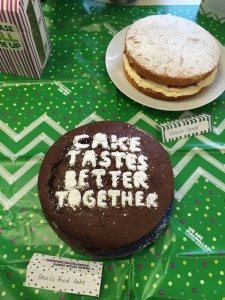 This entry was posted in Buckinghamshire, Careers, design on December 8, 2015 by admin. Construction works are moving swiftly on as the new Chinnor Community Building takes shape. The topping out has now been completed, the roof is on, and the builders have completed the first fix electrics, fitted the windows and doors and are rapidly progressing to installing internal fixtures and fittings. 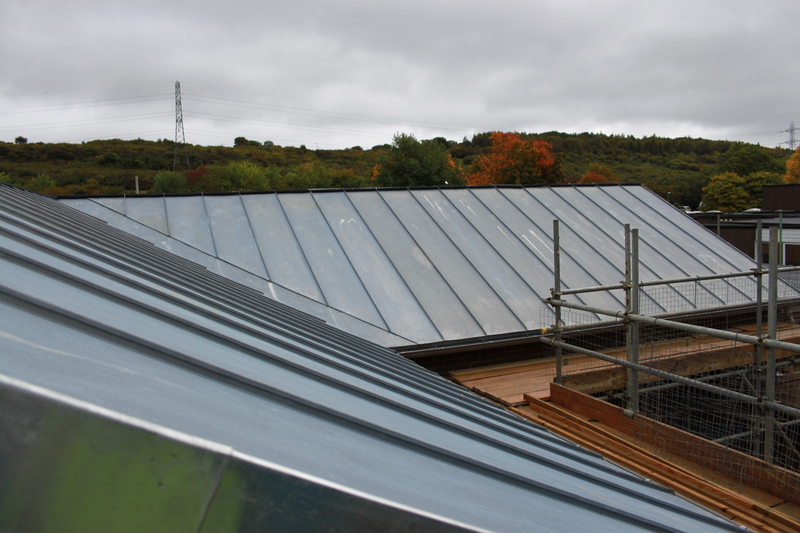 A very visible innovation is the array of solar PV cells on the zinc roof, which will generate electricity for the centre and will also be linked in to the grid as part of the feed-in tariff scheme. When completed, the Community Building will have six changing rooms to cater for the adjacent football pitches and playing field. High specification shower rooms are now being tiled and sealed. As well as sports facilities, the new centre will act as a community hub and have a function room, clubroom, bar and kitchen in addition to providing office space for the Parish Council. PCMS Design are project managing the whole build having previously carried out the design, specification and now the contract administration. 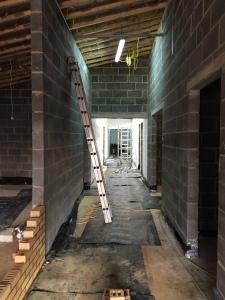 We have been making site visits each week to support the contractor as the building progresses. Works are on target for completion by this Christmas, with a grand opening planned for early in the New Year. 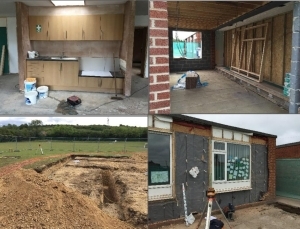 PCMS Design is currently project managing the construction of a new free-standing pre-school building in the grounds of St Mary’s Catholic Primary School in Caddington, just outside Dunstable. 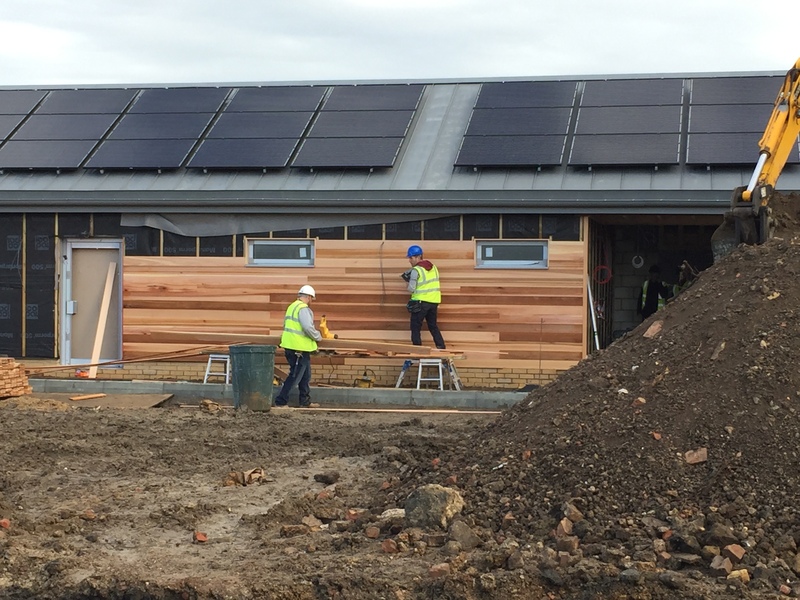 Works are progressing smoothly and the whole project is on target for completion later this term, which means that the new pre-school will be ready to open for business in January. The contractors have worked well, completing each stage in accordance with the project plan. A striking architectural detail is the zinc standing seam roof (see photo) which provides a hard-wearing and cost-effective alternative to concrete or slate tiles. Upon completion, there will be a large multi-purpose playroom and associated facilities, together with external play space to fulfil the government’s curriculum objective of children being offered outside play every day. “Our design team have experience of designing Early Years facilities and we have worked with the local authority, the school and the Diocese of Northampton to deliver this project,” commented Alex Bond, Project Manager. This entry was posted in Early Year's, Pre-School, project management, School Construction on October 29, 2015 by admin. PCMS Design are very pleased to have secured planning consent last month for a residential customer based in Haddenham, Buckinghamshire. 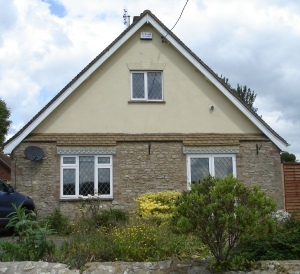 We immediately spotted the potential to improve their chalet style bungalow, which is in a lovely location on the edge of the village. The dwelling had already been extended to the rear, but was very dated and in need of a complete refurbishment. Rather than extend again to the back or side, our designers have proposed a scheme to create extra space by raising the pitched roof by around one metre. This enables the formation of three larger first floor bedrooms, one with an en suite, and frees up space on the ground floor for a bigger living room with wide bi-fold doors to access the garden. All of the internal spaces will be extensively reconfigured, and a combination of roof lights with two small dormer windows will allow natural light to flood into the first floor. The external appearance of the house will also be improved. This entry was posted in Buckinghamshire, extension, planning consent, planning permission, Residential on October 12, 2015 by admin. On Friday the 25th September we held a coffee morning in aid of Macmillan Cancer Support. There were plenty of homemade cakes on offer, along with tea and coffee. 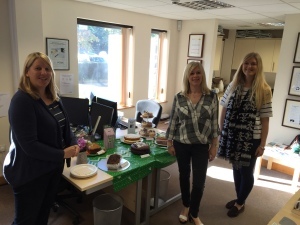 We would like to thank the staff from John Clegg & Co and Rectory Homes for stopping by and helping us raise an amazing £100 and of course eat the cake. 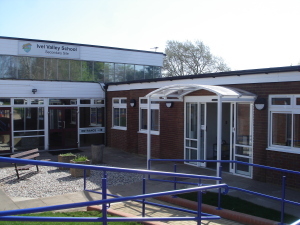 Ivel Valley is an Area Special School for children of all ages with complex learning needs. 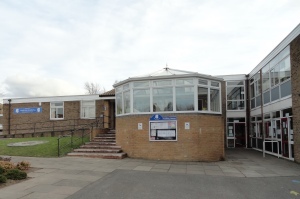 Located on two different sites in Biggleswade, the school has a number of pupils with sensory and physical difficulties, and also some students and young people on the autistic spectrum. A project to improve the secondary site reception, administration and visitor areas has just been completed. We developed designs for a 75m2 single storey extension and integrated the new rooms into the existing school and reception areas. Facilities now include larger offices, a consulting room for visiting professionals and an improved reception area. PCMS Design carried out the construction management, liaising regularly with the building contractor and key stakeholders at the school including governors and staff. 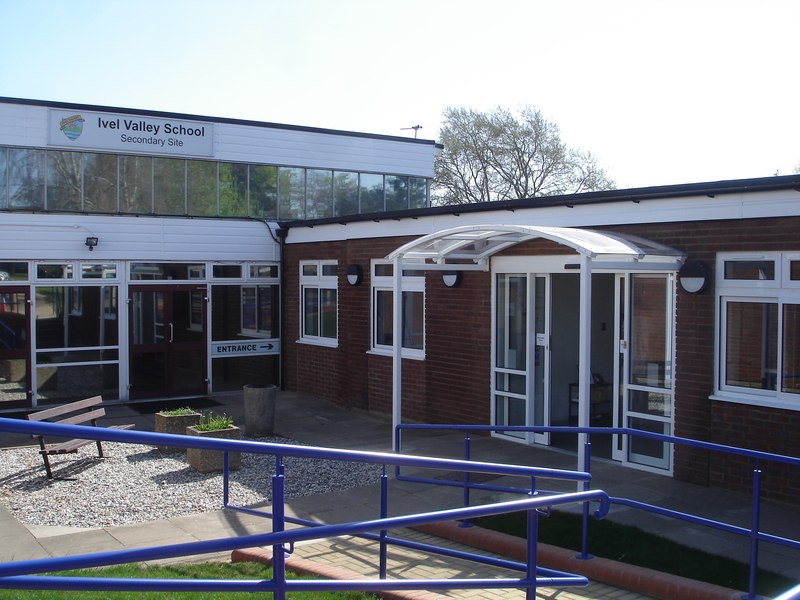 This entry was posted in Bedfordshire, construction, extension, Ivel Valley School, project management, school extension on September 8, 2015 by admin. 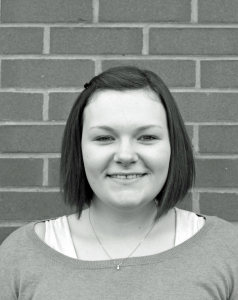 We are delighted this month to welcome our new Architectural Technician Katy Harrison to the PCMS team. 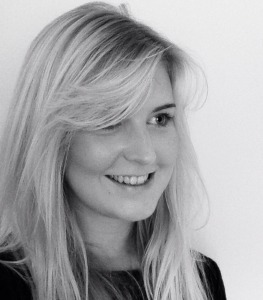 Katy joins us following four years of studying interior design and architecture at Sheffield Hallam University. Also during that time, she gained work experience at a top Oxford architectural firm, working on a range of health care and public sector projects. Katy is looking forward to gaining an in-depth knowledge of construction management, and playing a key role in developing schemes from project briefing through to completion. For many people, the summer holidays are now well underway. Where school construction projects are concerned however, this is a very busy time and we are actively involved in the management of several educational schemes at the moment. Schools and academies are naturally keen to complete the bulk of messy and noisy construction works during the school holidays wherever possible. 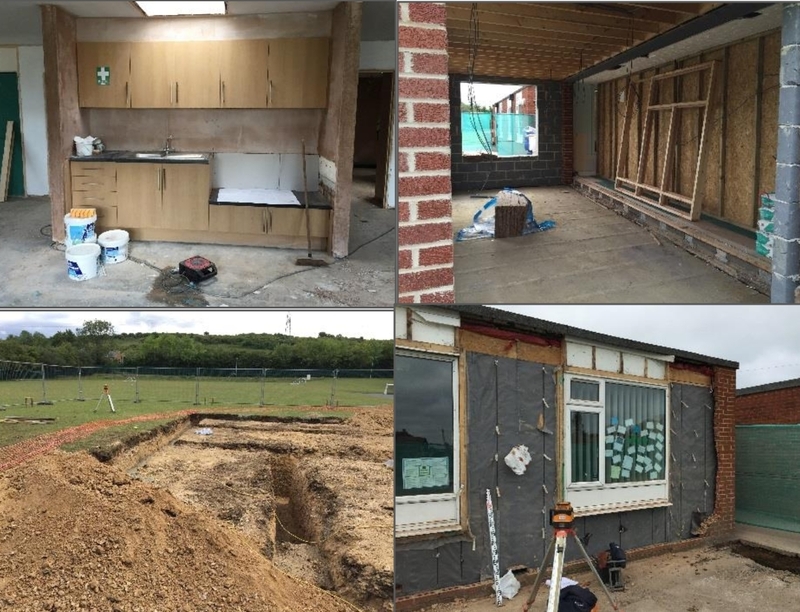 This summer, we are undertaking the contract administration for an extension and external works at an academy in Henlow, the construction of a new pre-school building in Caddington just outside Dunstable, an extension to and internal reconfiguration of a private nursery and a new free-standing classroom block at a High School in Luton. We are also progressing several other projects through the planning and procurement stages for schools. With even small projects taking between nine and twelve months from first concept to completion, it is worth starting the process early. The Secretary of State for Education has just announced the granting of permission for part of a school playing field in Caddington near Dunstable to be set aside for construction, so that a pre-school building can be built. A new pre-school is required partly to fulfil the government’s objective to create enough nursery places for every 2-3 year old child, and St Mary’s Catholic Primary School was earmarked as an ideal location. St Mary’s in Caddington is located on a large educational campus and the governors, in conjunction with Early Year’s officers from Central Bedfordshire Council and the Catholic Diocese of Northampton, are seeking to build a new single storey pre-school within the grounds. A site was identified to the rear of the existing buildings close to the existing nursery class, but a small section of playing field was needed in order to deliver the internal floor space required, together with outside play areas. PCMS Design demonstrated that the existing pitches could still provide sufficient space for physical education and sporting opportunities for school pupils. Because this meant that there would be minimal impact upon school activities, there was a strong case for the pre-school based upon the needs of early year’s education in the surrounding area, and Department for Education chiefs granted the change of use. Construction works are due to begin in the next few weeks. Picture Credit: Contains public sector information licensed under the Open Government Licence v3.0.